They can help solve (and predict) problems, formulate a winning strategy, bring in their investor network and generally attract follow on investors. They can act as seasoned mentors and incredible motivators. So who are the “best” angel investors and where are they? Knowledge – either as a business person or as a product or industry expert. They may have deep knowledge in your sector or be an expert at building or scaling startups. They also realize what they know well and what they don’t. Experience – they started, built and exited a business. Starting and building a startup is very different to a corporate job. There is no substitute for the scares you earn from having started your own startup. Connected – have connections to other sources of capital or the industry. They can make introductions and get you in front of the right people that can really change your business. Wealthy – have enough money that they can invest a meaningful amount in your raise (and not worry too much if it doesn’t work out) and hopefully can invest more in subsequent rounds. Motivated – want to roll up their sleeves and help by spending a few hours every month and more when necessary. There’s nothing more frustrating than having a fantastic investor who could really help and they’re too busy to pitch in when you need them. Well known – add credibility to you and the business. Their reputation has been built over many years of hard work and is very important to them. They will guard it closely and others know and respect this. So if you’re lucky to have them support you this is powerful and sends a wonderful message to the market. Culturally aligned – An angel relationship is usually a long term one. You need to get on well with them and have a constructive relationship. There will be stressful days when things go wrong and everyone needs to come together and work as a team. Poor chemistry can be very toxic. As a final note, I would point out that not all good investors have to be the above. Having a portion of your cap table that are “silent” money is also beneficial. Too many cooks as they say. There needs to be a balance between active investors and silent ones that give you capital and let you get on with it. They expect regular updates and may contribute when called upon, but generally act passively. However, don’t confuse “silent” money with “dumb” money. Silent investors are still skilled investors. So where do you find the best angel investors in Australia? There are lots of places to find awesome angel investors. Most usually keep a low profile, so you have to dig a bit deeper to find them. Linkedin - search “Angel Investor”. When I did for Australia it I got 760 results in my 1st and 2nd level connetions. Angelist - Many of Australia’s best angels are listed here. Sydney Angels, Melbourne Angels, Brisbane Angels etc – these groups all have dozens of angels that are willing and able to invest. Finally the following mindmap shows the Australian Ecosystem quite nicely. You can find a lot of players to connect to here. 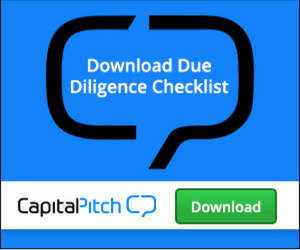 Do you know how to Pitch Angel Investors? Download our Pitch Deck template for Startup. We've looked at hundreds of Pitch Decks from around the world and gathered feedback from the best investors.